World Translation Center delivers professional Jordanian Arabic translation services for English to Jordanian Arabic and Jordanian Arabic to English. 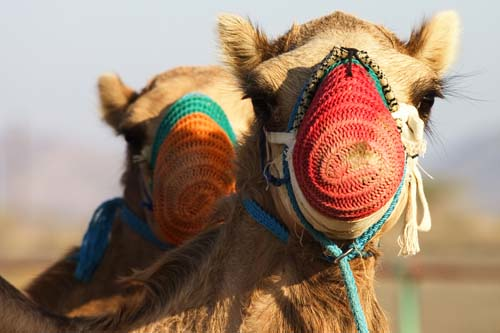 We can also translate Jordanian Arabic to and from over 150 other languages, including all the principal languages of Europe, Asia, South America, the Middle East and a variety of African languages, at economical prices. Our Jordanian Arabic specialists have the ability to provide translation for virtually any project you might have, including marketing materials, technical, financial, legal and medical documents, websites and software. Our knowledgeable project managers will match your project with a translator team most appropriate for the area of expertise considered necessary. Each individual linguist deals solely in his or her own mother tongue and within his or her area of expertise insuring not only top quality translation, but proper localization as well. After each document is translated, it will be edited and proofread by a second professional translator to assure highest possible quality. We also furnish transcription, video recording and subtitling services. If you need to have an existing video dubbed, a commercial narrated or a telephone system recorded, our native Jordanian Arabic speakers are available to provide high quality voiceover services. 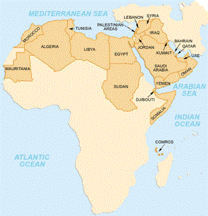 Arabic is the largest member of the Semitic language family. It is spoken in the north and the horn of Africa, as well as the Middle East. Countries in these areas were Arabic is spoken are: Afghanistan, Algeria, Bahrain, Chad, Cyprus, Djibouti, Egypt, Eritrea, Iran, Iraq, Israel, Jordan, Kenya, Kuwait, Lebanon, Libya, Mali, Mauritania, Morocco, Niger, Oman, Palestinian West Bank & Gaza Strip, Qatar, Saudi Arabia, Somalia, Sudan, Syria, Tajikistan, Tanzania, Tunisia, Turkey, United Arab Emirates, Uzbekistan and Yemen. "Colloquial Arabic" is a term used to refer to the spoken languages or dialects of people throughout the Arab world, which is different from the literary language. The main dialectal division is between that in the Maghreb region ( in the north of Africa) and those of the Middle East, but another one exists between sedentary dialects and the Bedouin dialects. Speakers of Middle Eastern dialects are unable to communicate effectively with Maghrebis, but Maghrebis do not have such trouble understanding the Middle Easteners, mainly because of the popularity of media and films originated in the Middle East, especially Egypt. All of our speakers speak Modern Standard Arabic; it is the language that you read throughout the Middle East and which is understood by all. All of the speakers are also able to record in their local accent, which is normally used for commercials or projects with a local feel. There are a lot of accents spoken in the Middle East. Every single country in the Middle East has its own dialect or accent. For example, an Egyptian speaking in is own dialect will be easily understood by a Bahraini or anyone else in the GCC (The Cooperation Council for the Arab States of the Gulf). The words and terminology are normally the same throughout, but the local pronunciation varies slightly. Speakers from Morocco, Algeria and Libya are the exception as they do not just have different accents but also use words of their own. It is always important to know your target country so that you can select the best translators and speakers for your project. Classical Arabic - the language of the Qur'an and classical literature, it was originally the dialect of the Mecca in what is currently Saudi Arabia. It differs from Modern Standard Arabic mainly in vocabulary and style, in that it is more archaic. Modern Standard Arabic - the universal language of the Arabic-speaking world which is understood by all Arabic speakers (it is used between educated Arabs of different nationalities when conversing with each other). It is also the language of the vast majority of written material such as books and newspapers and of formal TV shows, lectures, etc. Words are written in horizontal lines from right to left, numerals are written from left to right. Most letters change form depending on whether they appear at the beginning, middle or end of a word, or on their own. 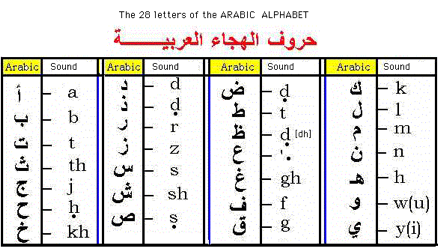 The Arabic alphabet contains 28 letters. Some additional letters are used in Arabic when writing names of places or foreign words containing sounds which do not exist in Standard Arabic, such as /p/ or /g/.